As revealed at Multiversity today, Valiant is proud to present your first look inside BLOODSHOT SALVATION #10 – the FIRST ISSUE of “THE BOOK OF REVELATIONS,” A SHOCK-INDUCING JUMPING-ON POINT from New York Times best-selling writer Jeff Lemire (Black Hammer, Animal Man) and dazzling artist Doug Braithwaite (X-O MANOWAR, Journey into Mystery)! 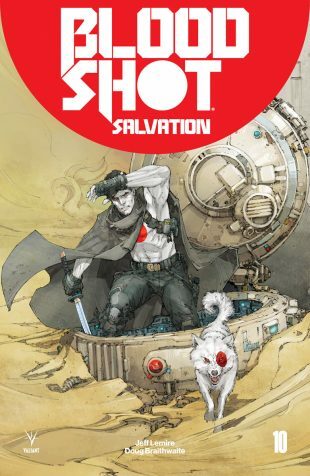 On June 13th, the creative team that brought the Bloodshot of 4001 A.D. to life returns to the 41st century once again, as Ray Garrison’s salvation-seeking odyssey to secure his daughter’s safety reaches forward – and past the point of no return! Two thousand years in the future – in the year 4002 A.D. – the man once known as Ray Garrison is no more…but the microscopic nanites inside him live on. Enter Bloodshot 4001 – a strange, gunslinging echo of Bloodshot’s mind, body, and soul that is now more machine than man. 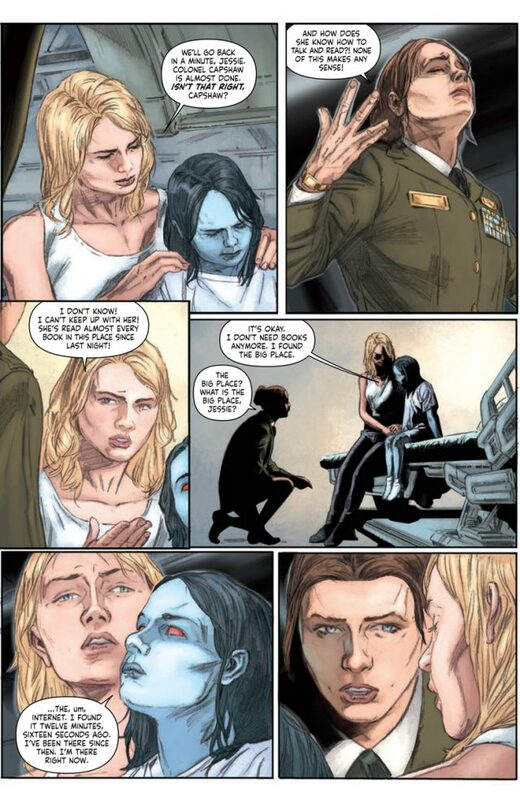 But when our century’s Bloodshot finds himself delivered to the dawn of the 41st century with one last mission to fulfill, two Valiant legends will finally come face to face…just as the secret revelation that binds them together across the ages will forever reshape Bloodshot’s place at the center of the Valiant Universe! 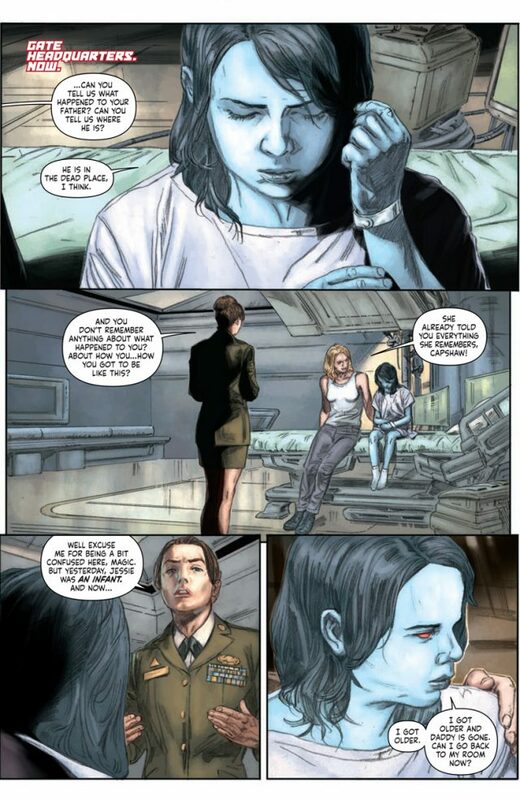 On June 13th, Jeff Lemire’s Eisner Award-nominated superhero saga journeys through millennia for the ultimate meeting of man and machine at the crossroads of tomorrow and today! 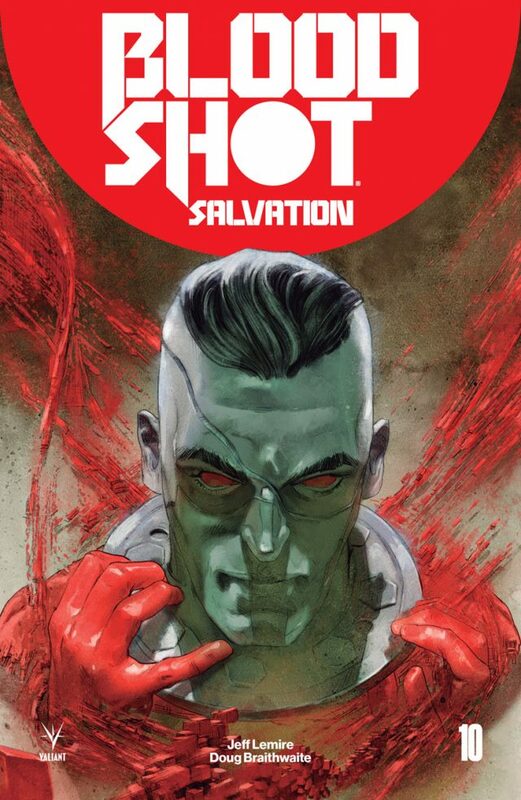 The next stunning chapter starts here as Bloodshot’s past, present, and future collide with superstar creators Jeff Lemire and Doug Braithwaite for “THE BOOK OF REVELATIONS” in BLOODSHOT SALVATION #10 – featuring covers by Kenneth Rocafort (Sideways), Renato Guedes (Wolverine), and Kim Jung Gi (Hit-Girl)! 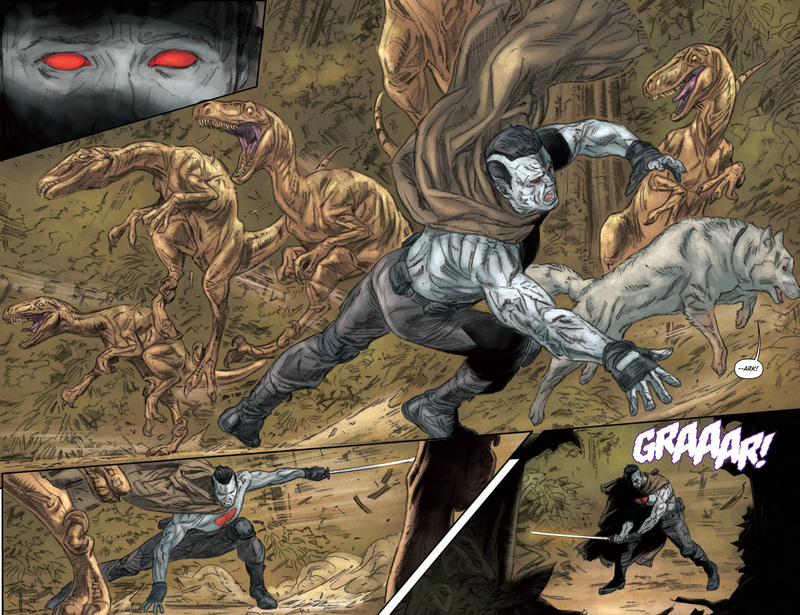 But first: Witness the fateful tale of a good boy gone bad in BLOODSHOT SALVATION #9! On May 16th, New York Times best-seller Jeff Lemire (The Terrifics), Eisner and Harvey Award nominee Ray Fawkes (Batman: Eternal), and astonishing artist Renato Guedes (X-O MANOWAR) combine their talents for a one-shot issue witnessing the birth of Project Rising Spirit’s Bloodshot program – and the canine weapon of untold destruction they unleashed upon the war to end all wars! 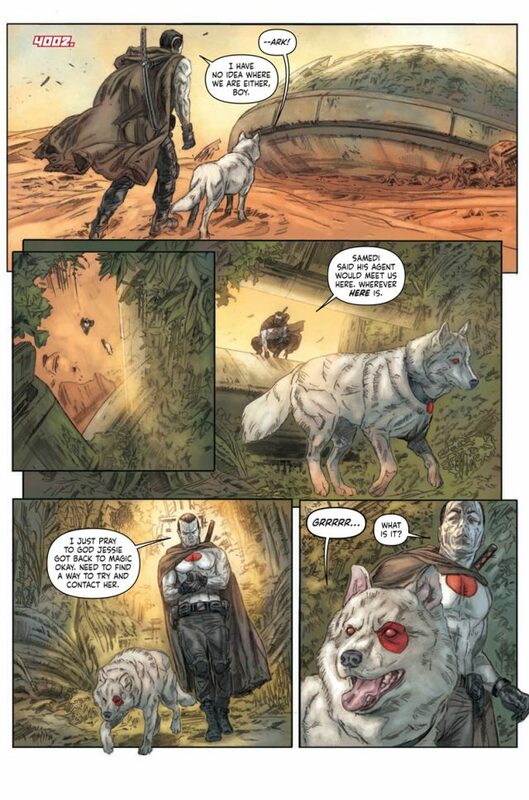 In the wire-strewn trenches of World War I, witness the true story of a good boy gone bad… Before he found his place at Ray Garrison’s side, Bloodshot’s loyal companion learned the depths of mankind’s inhumanity toward brother and beast alike on the battlefields of France. Now, as the Kaiser’s war machine approaches, find out firsthand how a beloved comrade with four legs and a soul full of fury inspired a legacy that still stands after more than a century! On May 16th, Bloodshot’s die-hard sidekick finally gets his due as all-star creators Jeff Lemire, Ray Fawkes, and Renato Guedes weave a wreckage-laden story of heartbreak and havoc to let loose the ultimate dog of war in BLOODSHOT SALVATION #9 – featuring covers by Kenneth Rocafort (The Ultimates), Renato Guedes (BLOODSHOT SALVATION), Giuseppe Camuncoli (Amazing Spider-Man), Juan José Ryp (BRITANNIA), and Shane Davis (Superman: Earth One)!